The Survey of English Usage carries out research in English Linguistics. It was the first Corpus Linguistics research centre established in Europe (and the second in the world). We have been building corpora and analysing grammar for more than 50 years, and our parsed corpora and software remain world-leading. We are based in the Department of English Language and Literature at UCL. The Survey is organising a memorial event celebrating his life and work, which will be held on July 9, 2019 at the British Academy in London. 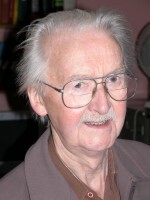 Randolph Quirk passed away on 21 December 2017. He was the founder of the Survey of English Usage and is particularly well-known for the monumental Comprehensive Grammar of the English Language (1985), which he co-authored with Sidney Greenbaum, Geoffrey Leech and Jan Svartvik. This book, which became known as Quirk et al. is one of the great standard reference grammars of English. Also see our blog, where you can submit your own tribute. Our seventh Summer School in English Corpus Linguistics will take place from Monday 1 July to Wednesday 3 July 2019. The Summer School is an introduction to Corpus Linguistics for students of language and linguistics and teachers of English. Participants should have a basic knowledge of English linguistics and grammar. Students will gain experience with a state-of-art corpus and an understanding of basic statistical ideas. Researchers at the Survey of English Usage and Literature and UCL Institute of Education (IOE) are set to examine whether a new approach to teaching six- and seven-year-olds about grammar can help their writing. The new approach is informed by state-of-the-art knowledge about the English language, and was developed by Bas Aarts, Sean Wallis, Ian Cushing and other colleagues in the UCL’s Department of English Language and Literature. Funded by the Nuffield Foundation, the project will carry out a Randomised Controlled Trial (RCT) and in-depth Process Analysis to determine if the approach to grammar is effective in improving children’s writing. The research will examine the approach’s success in the context of primary education. England’s knowledge-based national curriculum is epitomised by its requirements for the teaching of grammatical terms and their uses. The research project will enable the team to evaluate a key facet of the national curriculum that will have implications for primary teachers’ pedagogy, children’s learning, and for national curriculum policy. “This exciting new project combines the expertise of UCL’s English Department and the IOE to investigate whether a new approach to grammar teaching that was developed by the Survey of English Usage will help children to become better writers. The project’s outcomes will have implications for the way that children are taught grammar during Key Stage 1 of the National Curriculum for England,” explains Professor Bas Aarts. 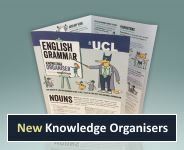 The sixth annual English Grammar Day will be held on Monday, 8 July at the British Library. It is jointly organised by the Survey of English Usage, the University of Oxford and the British Library. Members of the public will join a distinguished panel led by UCL Professor John Mullan to reflect on the state of, and attitudes towards, English grammar and vocabulary. This year's speakers are Barbara Bleiman, English and Media Centre London, Rob Drummond, Manchester Metropolitan University, David Denison, University of Manchester, Ingrid Tieken-Boon van Ostade, Leiden University, Charlotte Brewer, Oxford University, and Jon Hutchinson, Reach Academy London. English Grammar Days have been very successful events: they were fully booked and attracted a great number of teachers and school children, as well as members of the public and the press. You can watch the short video below about the 2016 English Grammar Day. Booking will be via the British Library website, which we will announce in due course. The Survey Seminar speakers for the Autumn term were Billy Clark and Lynda Mugglestone. The next Survey seminar will be Geri Popova from Goldsmiths on deadjectival nominalizations using –ness, which will be on Wednesday 13 March at 4.15pm. We are pleased to announce that we have published a set of new Englicious grammar resources for teachers and children in UK primary and secondary schools. 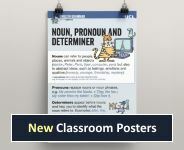 Written by Bas Aarts and Ian Cushing, using simple language and practical examples, these classroom resources explain the key grammatical terms in the English National Curriculum that primary and secondary school teachers are expected to teach. Prices start from £4.95 for a knowledge organiser, with savings for bulk purchases. The resources are a spin-off from our Teaching English Grammar in Schools project and are published by UCL Business. Income helps to support the Englicious project. For more information, for prices and how to order, click on the images above. Our very latest mobile app, Grammar Practice KS2, is designed for UK primary school students to test themselves in preparation for the Key Stage 2 Grammar Test at the end of Year 6. Extensive practice material — 50 exercises with nearly 3,000 test questions. 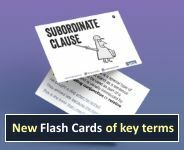 The complete 'non-statutory' New UK National Curriculum Grammar Glossary as a bonus, plus explanations from the Englicious website. The test changed last year — our app is up-to-date. Our website is 'mobile-friendly'. Hand-held users have the option of a new 'mobile reader mode' alongside the standard desktop view. The Survey of English Usage hosted the Fifth International Conference of the International Society for the Linguistics of English, from 17-20 July, 2018, at Senate House, University of London. For more information about the conference see the ISLE 5 Conference website. The latest version of our state-of-the-art ICECUP software is now available as a beta release for download from our website ahead of the official release in 2016. The Release Candidate 2 package contains a new software codebase created with Visual Studio, and a new complete help file. Most importantly, the software has been reworked extensively to ensure that it is compatible with 64bit and 32bit versions of Windows, from XP to Windows 10. You can also download a free ICE-GB sample corpus to experiment for yourself. We are pleased to see our Englicious website going from strength to strength, with more teachers signing up every day. Englicious (www.englicious.org) is an online resource for improving the teaching of English grammar and literacy in UK schools. Our site uses the latest UK National Curriculum grammar terminology and spans both the primary and secondary sectors. We also run a course for school teachers, in conjunction with the UCL Institute of Education, called Grammar for Teachers, which uses Englicious. In the following video, school teachers at St Aidan's Primary School, North London, talk about their experience using Englicious in the classroom. Englicious was developed out of the AHRC Knowledge Transfer Fellowship Creating a Web-Based Platform for English Language Teaching and Learning started in 2010. This project involved building a website of interactive structured English language courses with a grammatical focus, initially tailored to the goals of the National Curriculum’s Key Stages 3-5. The resource consists of lesson modules dynamically accessing the corpora based at the Survey. The project was subsequently supported by the EPSRC via a UCL BEAMS Enterprise Award in 2012. The Survey was subsequently awarded Follow-on Funding in 2013 for Impact and Engagement by the AHRC to develop teaching and learning materials for English primary schools. The new content is specifically aimed at pupils at Key Stages 1 and 2 in three domains, namely spelling, punctuation and grammar, and forms part of the Englicious website. This short project started on 1 September 2013 and ran for six months. The UCL team worked closely with a number of partners, namely the National Association for the Teaching of English (NATE), St Aidan's VC Primary School in north London, and UCL Business PLC (UCL’s Technology Transfer company). Academic guidance in your pocket! We are proud to announce the release of Academic Writing in English (AWE), a new app for the iPhone, iPod Touch, iPad and Android devices. AWE is an interactive self-learning course in academic writing that takes you on a journey from critical thinking skills and organising your writing, via questions of English word choice and grammar, to identifying (and addressing) ambiguity in your own writing. We are proud to announce the release of the iGE App for the iPhone, iPod Touch, iPad and Android devices. The interactive Grammar of English is a complete course in Modern English Grammar. iGE updates our popular Internet Grammar, and presents it as a mobile application for a phone or tablet. Click here for more information. The latest iGE 1.1 release is published for Android and the latest Apple devices. Two major parsed corpora of British English are available to order from the Survey of English Usage. The Diachronic Corpus of Present-Day Spoken English (DCPSE) consists of 87,000 trees and 800,000 words of spoken English across the decades. Release 2 of the British Component of the International Corpus of English (ICE-GB) is an upgrade of the popular 1 million-word ICE-GB corpus. Both corpora are released with the new ICECUP 3.1 software. More information, free sample downloads and order forms are here. This page last modified 28 February, 2019 by Survey Web Administrator.